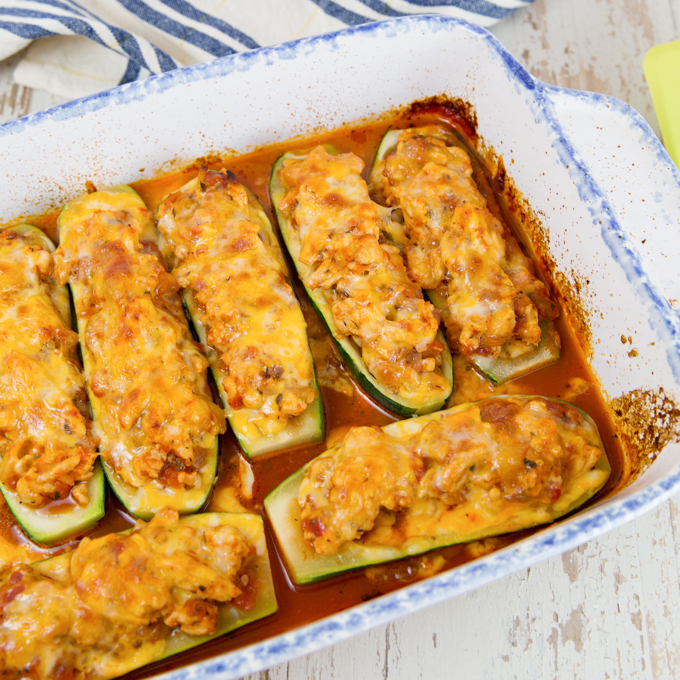 Enjoy your garden fresh zucchini and make your family a healthy dinner of Stuffed Zucchini Boats. 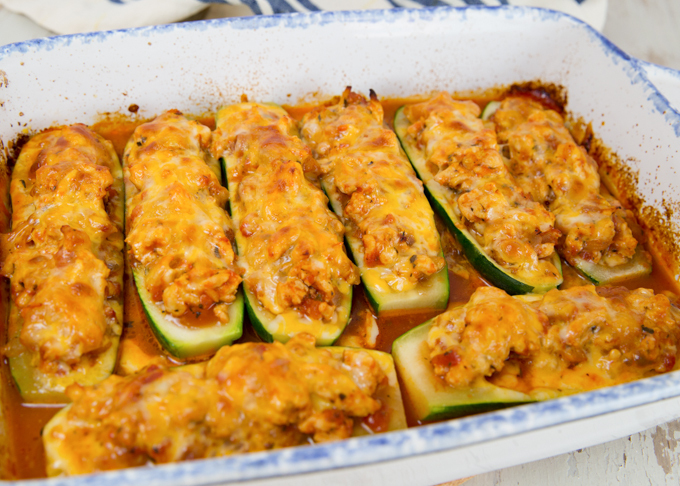 Seasoned ground turkey, onions, and cheese fill the hollowed out zucchini for a delicious meal. If you’re like me, and everyone else that grows a summer garden, you’re always looking for zucchini recipes. I mean, let’s face it, zucchini grows like a weed! 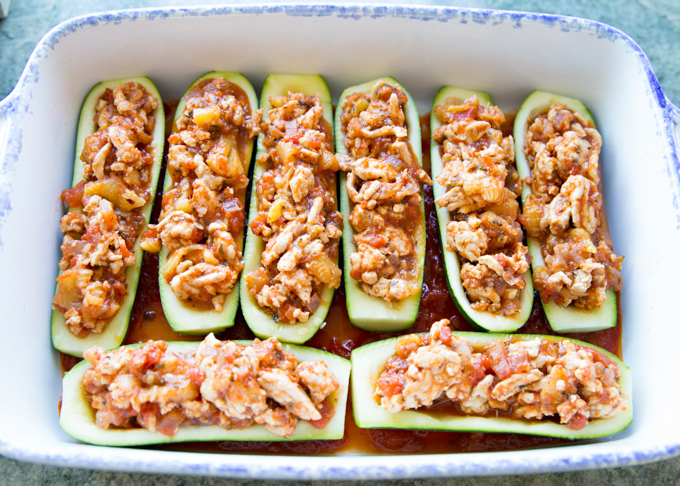 These Stuffed Zucchini Boats are a simple and healthy dinner that your family will enjoy. 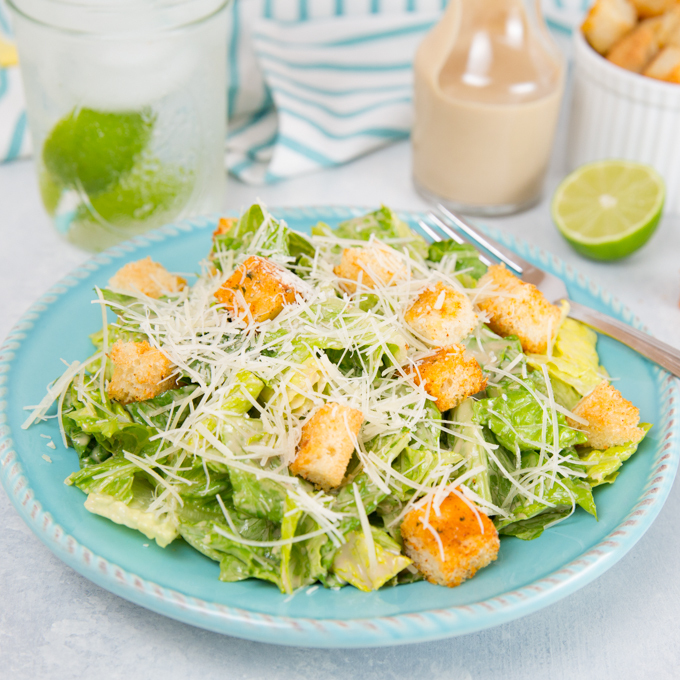 A little side salad and dinner is on the table! 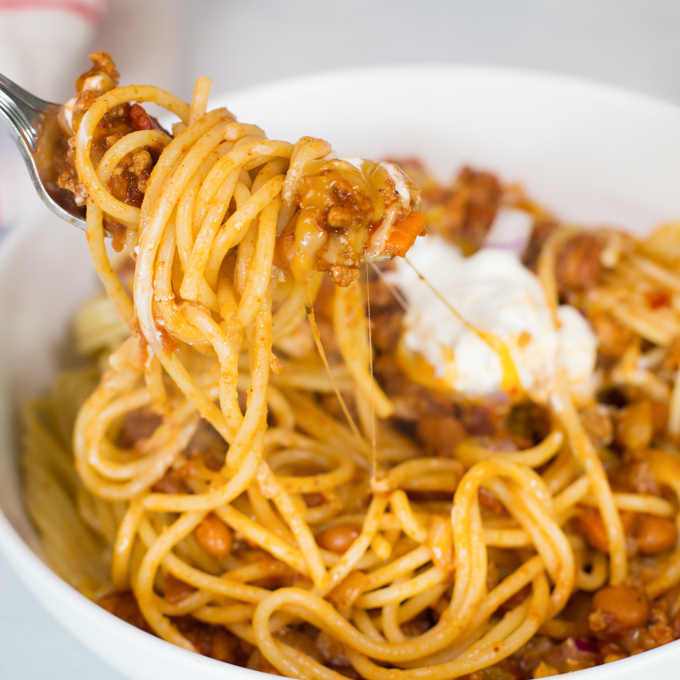 They also reheat perfectly and are a delicious lunch or leftover dinner the following night. 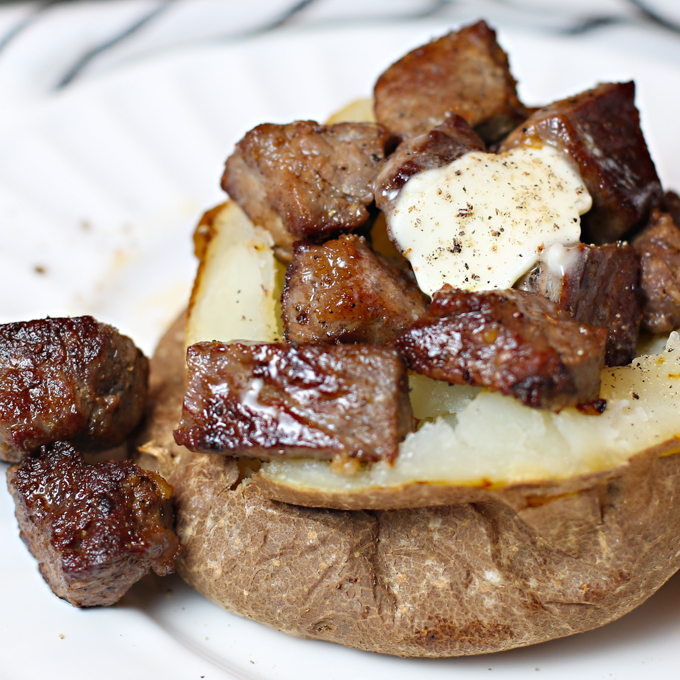 In fact, I headed out of town the day after I made these, and my husband loved having a healthy dinner ready for a quick re-heat. 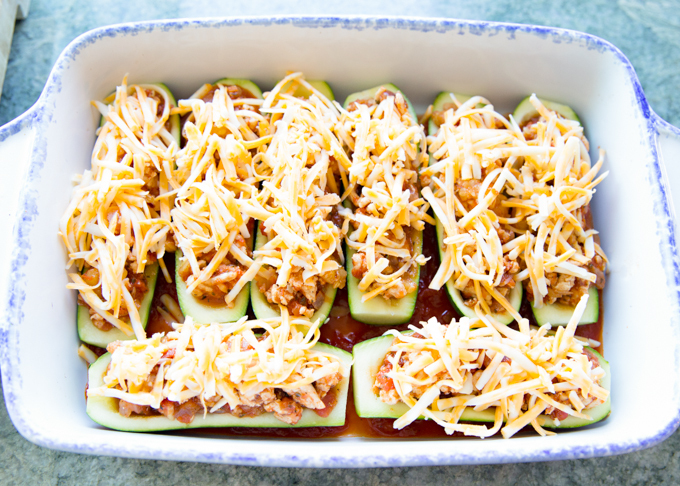 To make these Stuffed Zucchini Boats, cut your zucchini in half lengthwise and scoop out the zucchini pulp. Give it a rough chop and set aside. 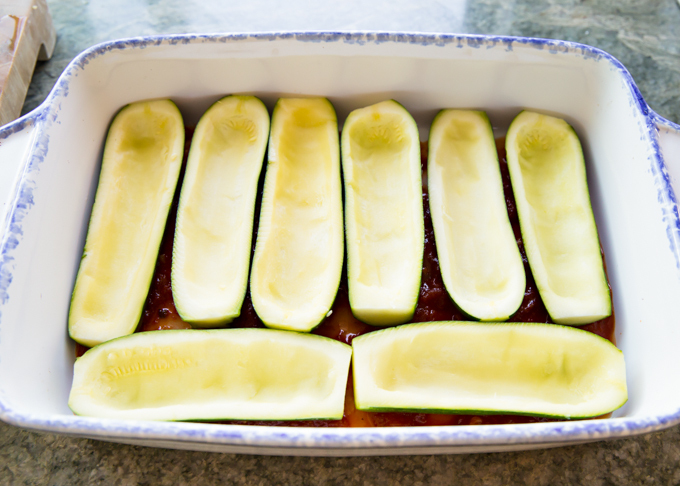 Cover the bottom of a baking dish with your favorite marinara sauce and place zucchini halves in dish. In a large saute pan, saute onion and garlic. 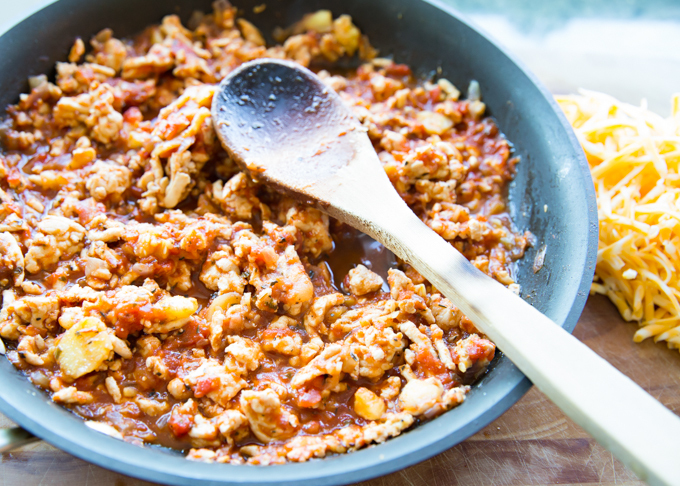 Add ground turkey and spices and cook until meat is browned and cooked through. Stir in zucchini pulp and about 3/4 cup marinara sauce. 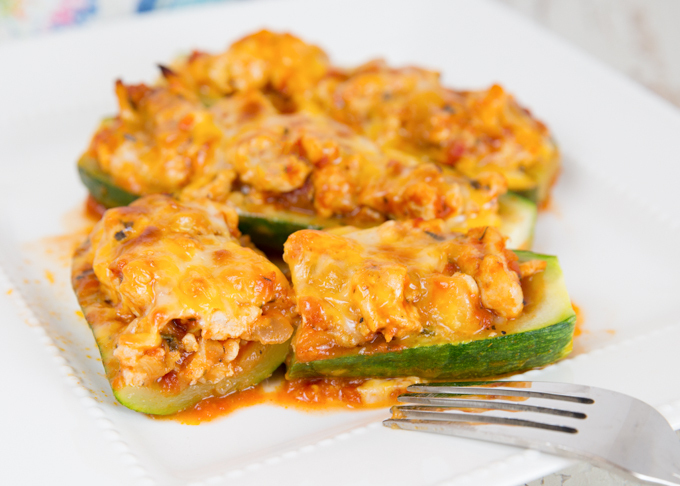 Stuff zucchini halves with meat mixture and top with grated cheese. Baked until hot and bubbly, cheese is melted, and zucchini is tender. Rinse zucchini and slice in half lengthwise.Scoop out "pulp," give it a rough chop and set aside. 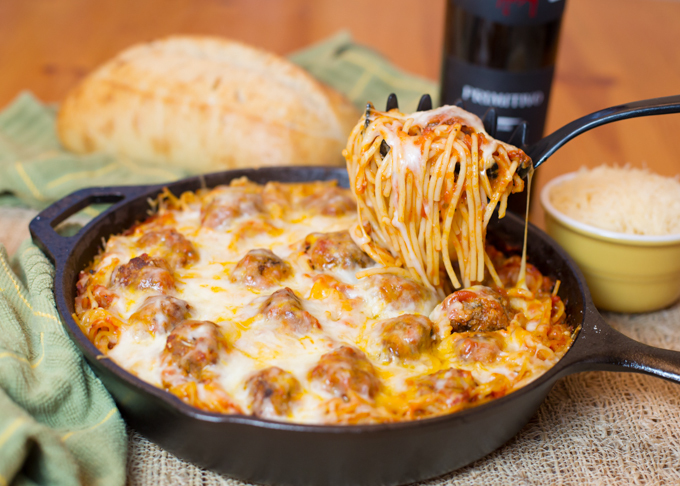 Pour ¾ cup marinara sauce into rectangle baking dish. Place zucchini halves in pan. Heat oil in large skillet over med/high heat. Add onion and cook for ¾ minutes. Add garlic and cook for another minute. Add in ground turkey and spices. Cook until meat is browned and cooked through. Add zucchini pulp and ¾ cup marinara sauce and simmer for about 5 minutes. Let cool until warm. Add ½ cup grated cheese to the meat mixture. 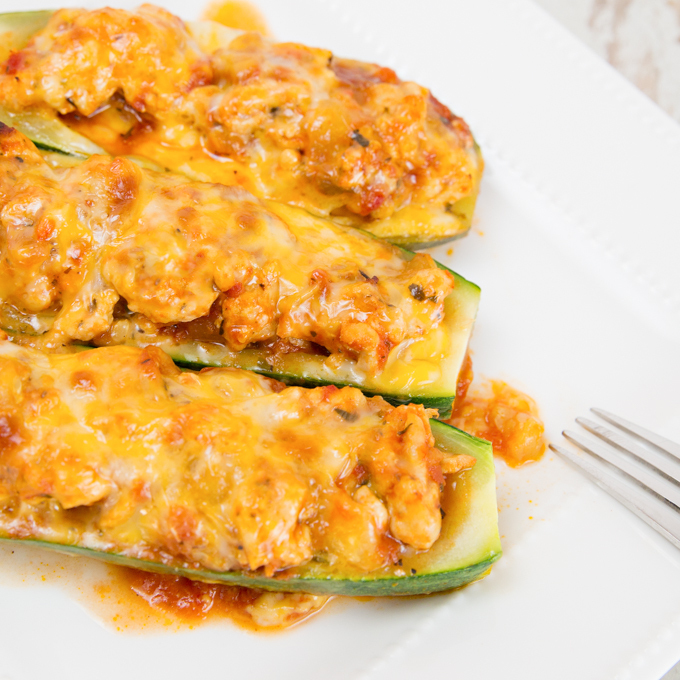 Fill each zucchini half with meat mixture and top with remaining cheese. Cover with foil and bake for about 15 minutes. 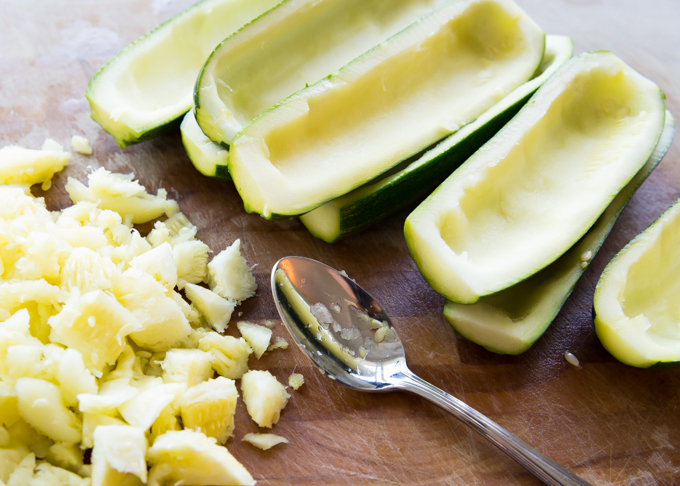 Remove foil and continue baking until cheese is melted and zucchini is tender. 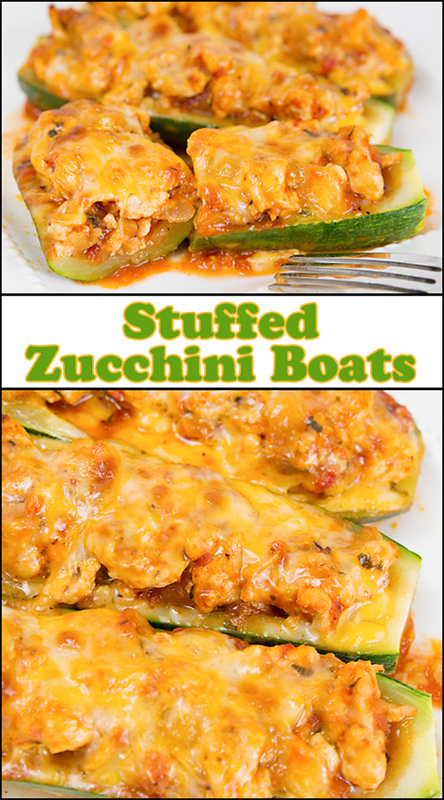 These Stuffed Zucchini Boats would be delicious served with a side Caesar Salad. Perfect way to use up more of my zucchinis! I love making zucchini boats!